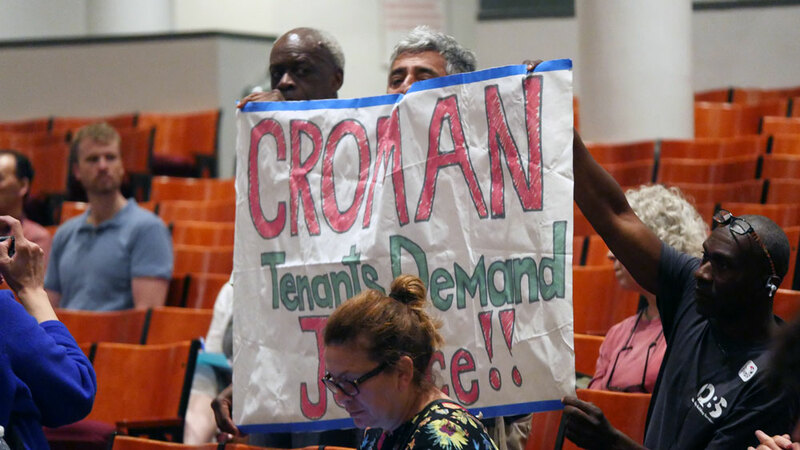 The Rent Guidelines Board met last Thursday ahead of voting to determine the maximum allowable rent increase for rent regulated apartments throughout New York City. The same review happens annually, but this year there’s a special sense of urgency as rents continue to rise amidst falling incomes and a precipitous drop in rent regulated housing stock, which account for some 1 million homes in the city. Proponents of rent regulation agree that the system is badly in need of reform, but it remains to be seen what exactly that might look like when Albany revisits the rent regulation laws, which expire on June 15. Many affordable housing advocates are worried that powerful real estate interests might prevail. But for now, it’s up to the RGB to decide whether or not to continue on a course of raising rents for rent regulated tenants or take the advice of some lawmakers and freeze rents.